I am a simple man, and I believe that often the right choices in life can be the simplest to make. 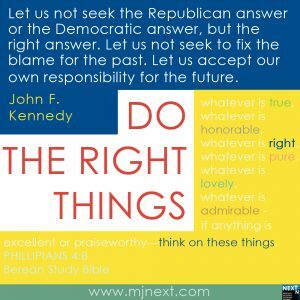 When in question, do what is right. As our nation faces very difficult and challenging times during this election season, I think moving through them requires simply looking back at our core foundation. Why did the men and women of the American revolution want liberty in the first place? What role did their faith play in their lives? Have we forgotten the price for fighting injustice and how precious it’s reward is? Has our enjoyment of freedom for so long totally warped the framing of freedom’s entitlement? “Not too long ago, two friends of mine were talking to a Cuban refugee, a businessman who had escaped from Castro, and in the midst of his story one of my friends turned to the other and said, “We don’t know how lucky we are.” And the Cuban stopped and said, “How lucky you are? I had someplace to escape to.” And in that sentence he told us the entire story. 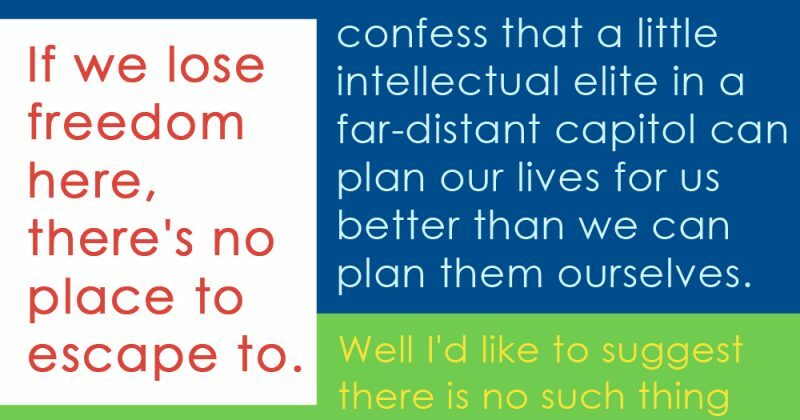 If we lose freedom here, there’s no place to escape to. This is the last stand on earth. And this idea that government is beholden to the people, that it has no other source of power except the sovereign people, is still the newest and the most unique idea in all the long history of man’s relation to man. The preceding was an excerpt from Ronald Reagan’s speech, A Time for Choosing, given on October 27, 1964. Put God first. Don’t rely on the government or anyone else to make decisions for my personal life – a mature, responsible adult should be capable of choosing what’s best for their home and family. Rely on family, friends and neighbors first, then the government to help support areas where others or myself are not capable. The government should be secondary to these things with elected officials acting as our representatives. WE are first responsible to help care for our families, neighbors, fellow citizens and communities. WE must accept the responsibility for the future. The day-to-day responsibilities in every area of our lives. We have a duty to do the right things while we still have the freedom to choose. Many have already sacrificed for it. We are blessed and lucky to have it. “8 Finally, brothers, whatever is true, whatever is honorable, whatever is right, whatever is pure, whatever is lovely, whatever is admirable—if anything is excellent or praiseworthy—think on these things. 9 Whatever you have learned and received and heard from me, and seen in me, put these things into practice. And the God of peace will be with you.” Phillipians 4:8-9, Berean Study Bible. 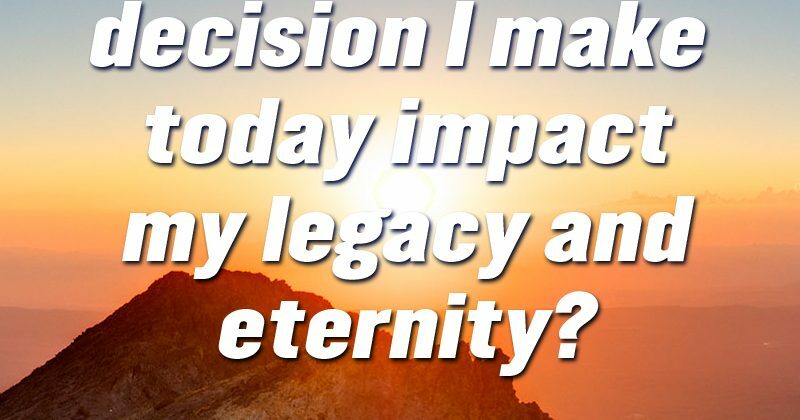 How will each decision I make today impact my legacy and eternity?